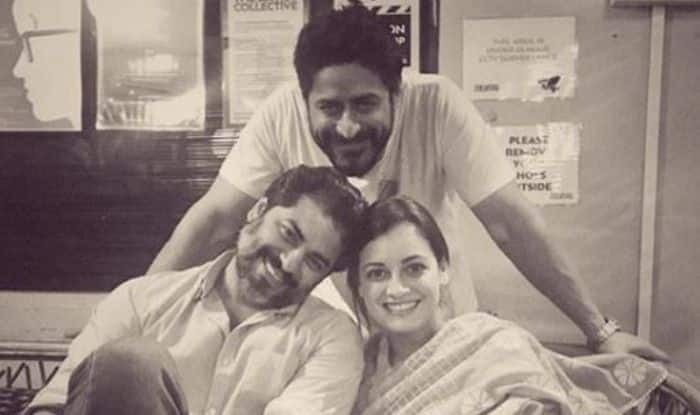 Dia Mirza and Mohit Raina have started the preparations for Zee 5's original web series Kaafir, in Himachal Pradesh. Dia Mirza who was last seen in Sanju with Ranbir Kapoor where she played the role of Sanjay Dutt’s wife Manyata Dutt will soon be seen in a web series Kaafir. The actor has started preparing for it and has called the project a “really special” one. The actor is currently in Himachal Pradesh where the film’s shooting is being held. Dia even took to her Instagram to share pictures from the sets with Mohit Raina. She even gave a heartfelt caption to it that read, “A new journey begins today! A story that has captured our hearts. A story that must be told. Thank you @bhavani.iyer for writing this incredible story… thank you @siddharthpmalhotra@sapnamalhotra01 #AlchemyFilms#TarunKatial @zee5 #Milind #Aparnafor choosing to tell this story. All the best to all of us @chinxter @merainna@pratik8shah. A big thank you to #AtulMongia, Vishruth and Kanishka @theartistcollectiveindia for helping us prepare to become our parts… never enjoyed preparation as much! Big love to team #Kaafir. Let’s do this Need all your love and good wishes  #Zee5Originals”. Earlier, she shared a picture of herself with scenic snow-capped mountains in the backdrop. and captioned it, “Here to start something really special… Will tell you what it is soon! Until then, let me soak in the beauty of #MereDeshKiZameen#NewBeginnings”. Kaafir is a ZEE 5 original web series which is being directed by Sonam Nair and produced by Siddharth Malhotra. Dia will be seen playing the role of the protagonist. She even worked with director Atul Mongia to bring authenticity to her part. “A workshop is an intense study, an exploration of the character one is playing. For me, personally, getting to know the character is extremely important. The process of discovering the person one is playing is exciting,” Dia said in the statement. “Working with Atul was a unique and wonderful experience. This is the most challenging part I have ever played and I feel so lucky to be a part of a story that is based on true events,” she added.